This year’s Super Bowl will feature the NFC Champion Los Angeles Rams in a showdown for NFL supremacy against the AFC Champion New England Patriots. In what is always one of the most watched television events of the year, Super Bowl Sunday will be enjoyed around the world as gameday watch parties pop up in countries on every continent. 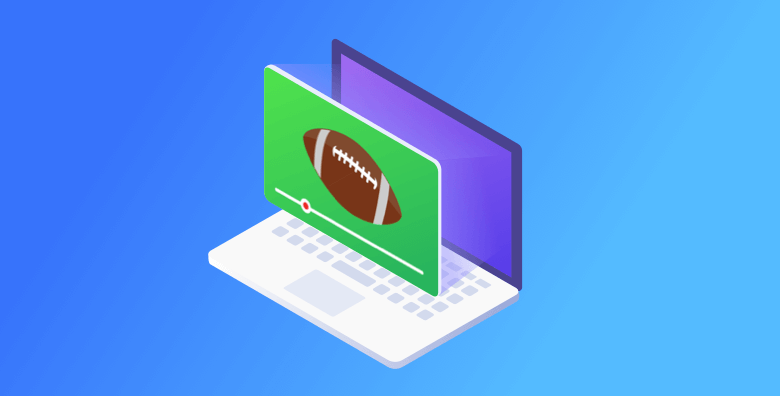 And in the modern world that of course means streaming Super Bowl LIII live, especially for people who wish to watch the game outside of the United States on Super Bowl Sunday. For NFL fans around the world, access to American television or cable may not be an option, and even Stateside cable cord cutters and those in rural communities may be better off trying to stream the game than having to search for a strong enough satellite dish signal. With VyprVPN, your Super Bowl Sunday watch party has access to global servers to make sure your connection speed can tap into more than 700 different global streaming servers in more than 70 different countries. That way no matter where you are on gameday, all of the glory, hype, and multi-million-dollar Super Bowl commercials are available to stream on any device you have. Whether it’s from a Smart TV in the comfort of your own living room or from your iPhone while on the go, VyprVPN can bring live Super Bowl streaming directly to you. And in regions around the world where the Super Bowl may be blocked from viewers, VyprVPN will help save the day by allowing you to bypass location-based censorship so that you can access global media. With a truly global VPN service like VyprVPN you can stream without limits because no content (or sporting event) is out of reach. BBC One offers a FREE broadcast of the Super Bowl that is ideal for some international VyprVPN users. For US based VyprVPN customers, Verizon is allowing everyone to stream the Super Bowl FREE of charge, no matter who your actual mobile carrier is for your phone. BUT the Streams are EXCLUSIVELY available on mobile devices. Hulu will also be streaming Super Bowl LIII, which will be available for all devices with internet access. There’s a 7-day free trial available for VyprVPN users who want to sign up just for the game and try out their service. Go to Hulu and select a free trial plan.